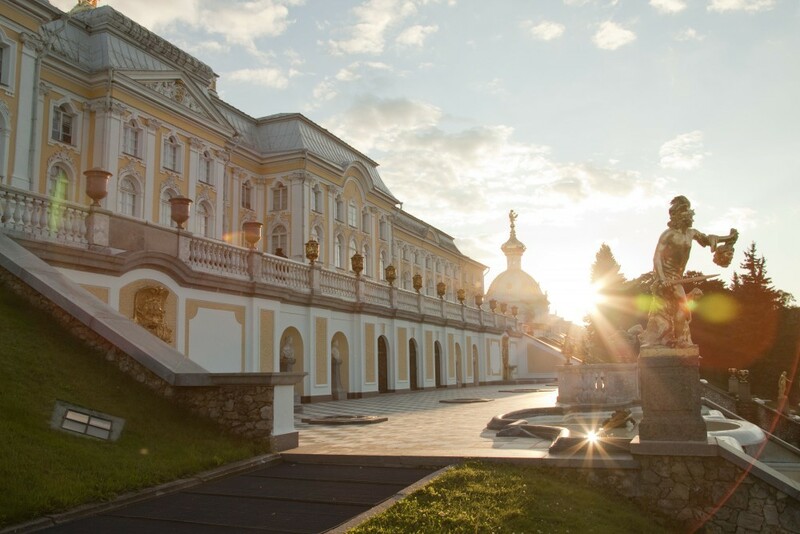 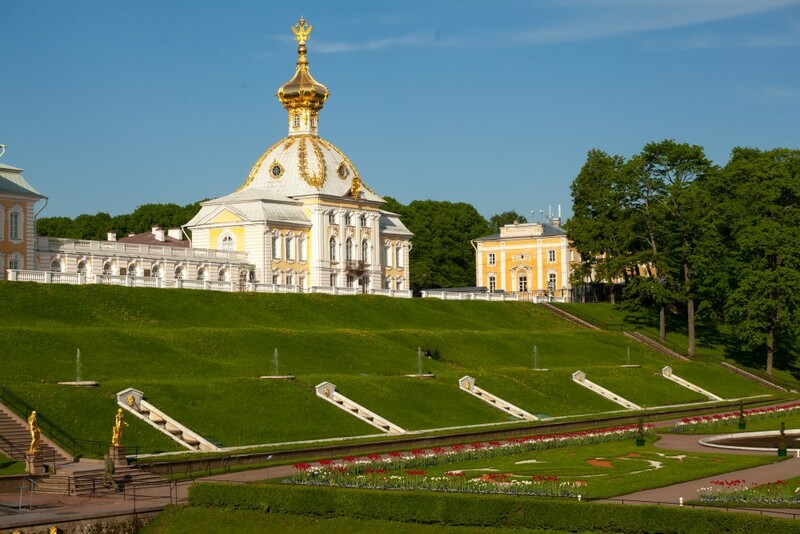 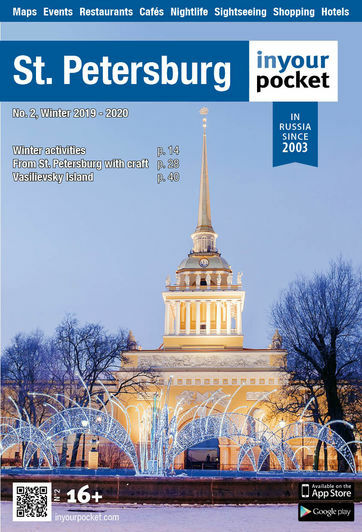 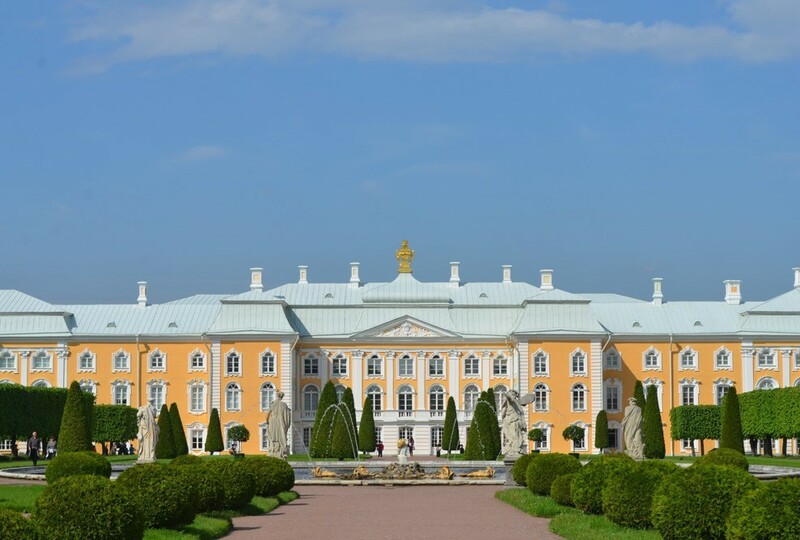 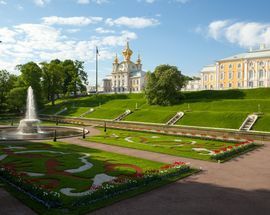 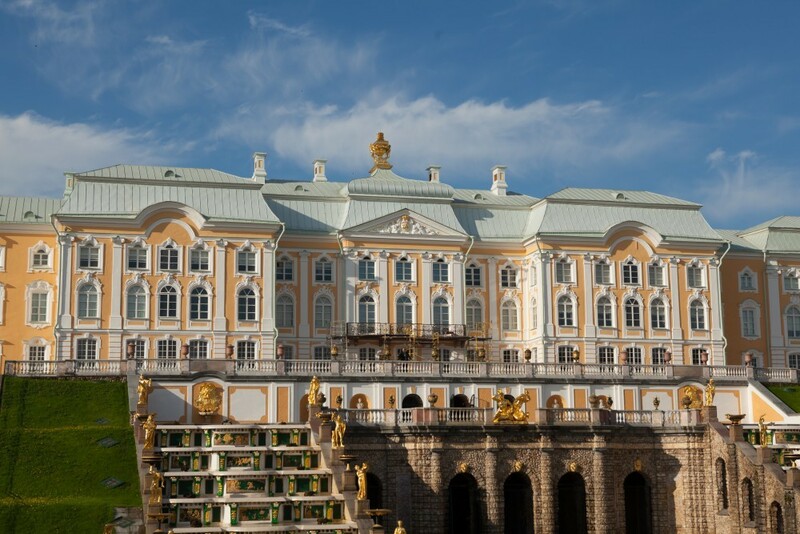 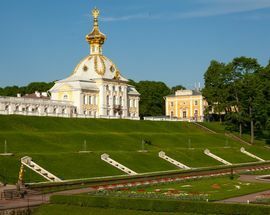 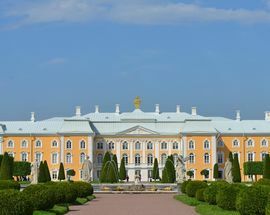 The Grand Palace at Peterhof was designed to be the centerpiece of Peterhof. 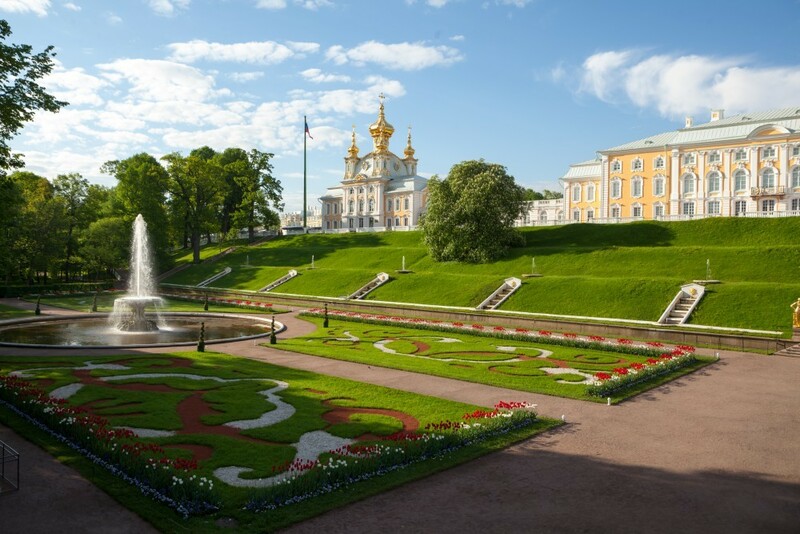 Beige and white, the palace is majestic without being overwhelming and provides the perfect backdrop both to the elegantly formal Upper Garden and to the spectacular Grand Cascade. 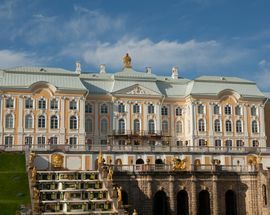 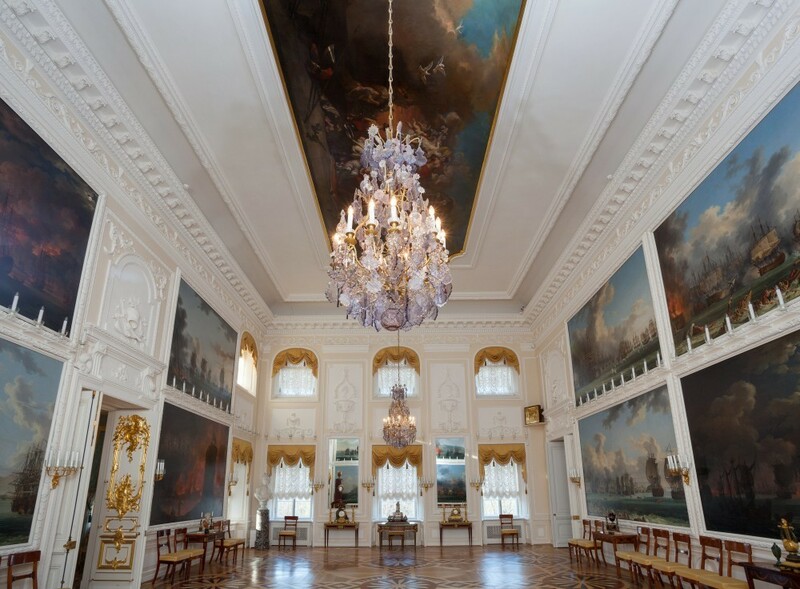 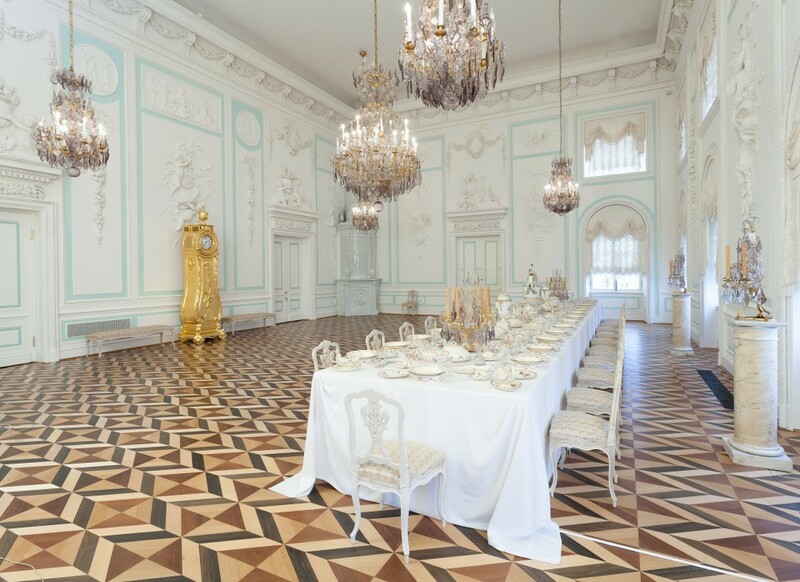 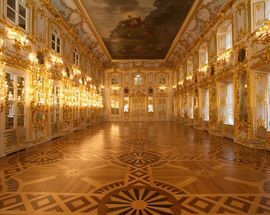 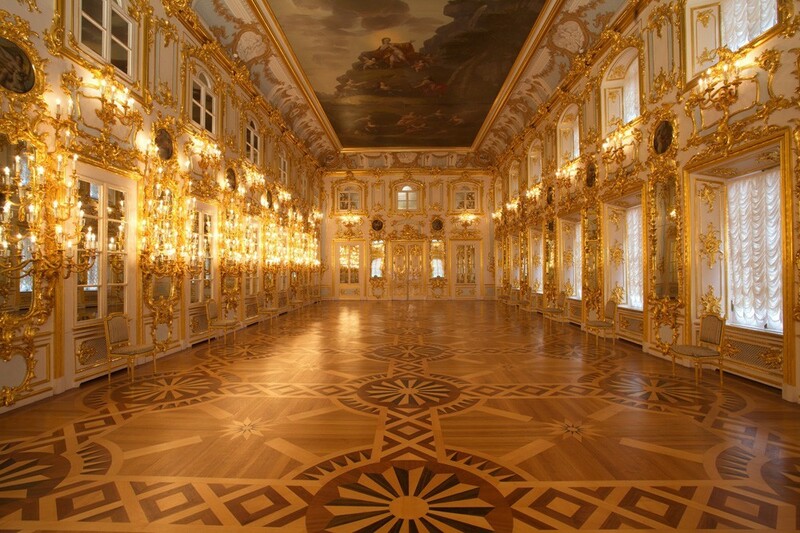 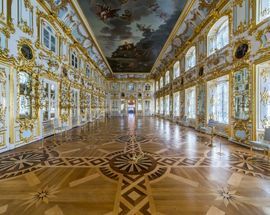 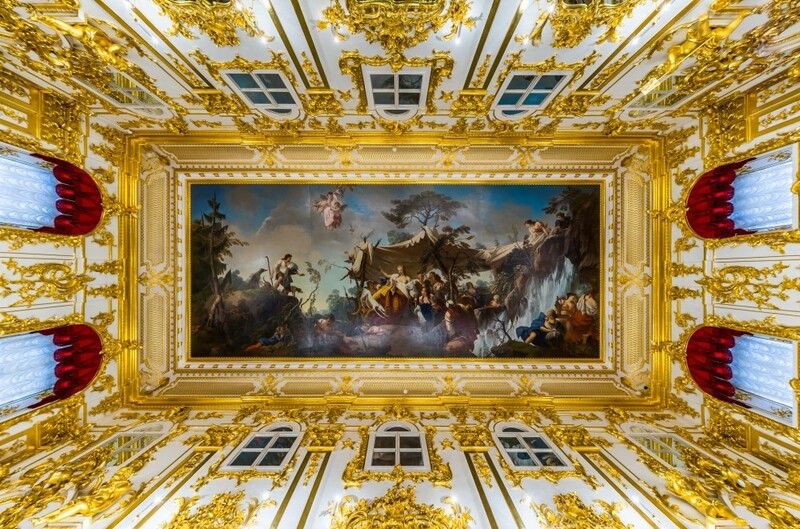 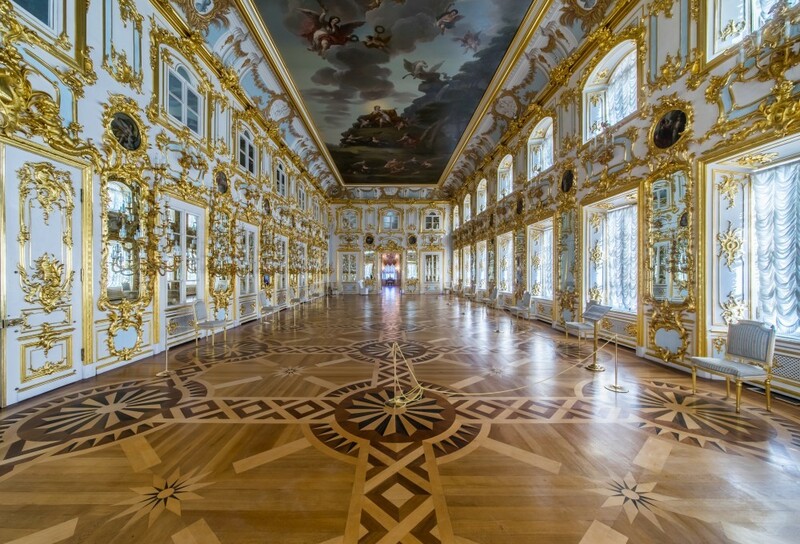 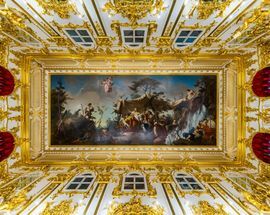 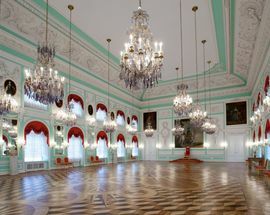 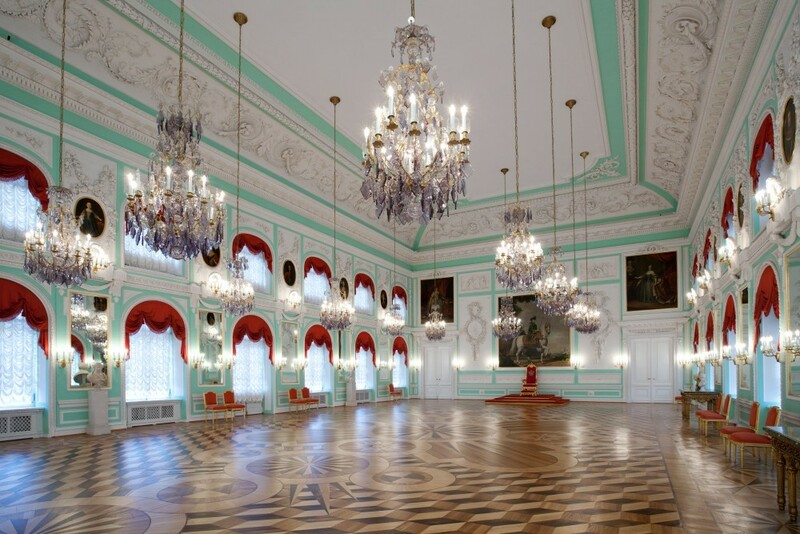 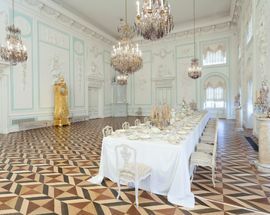 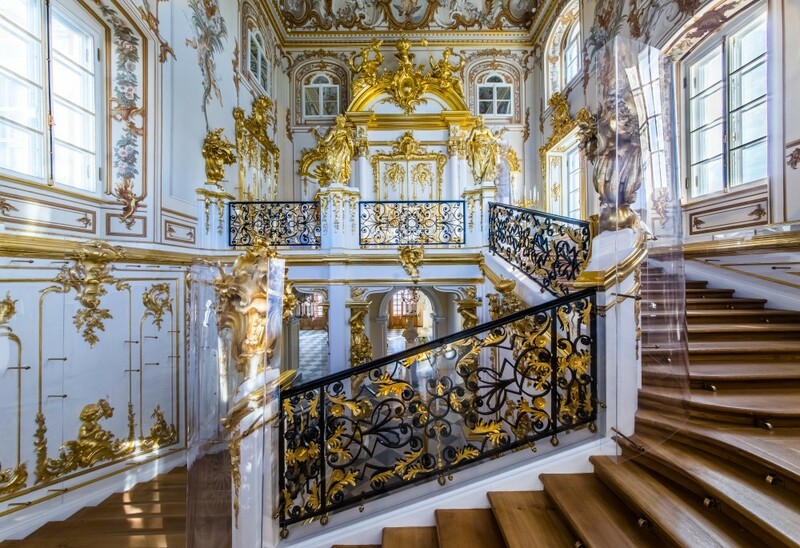 Inside, the Grand Palace is considerably more lavish; the interiors are in fact a combination of original designs by Rastrelli and renovations by Yurii Felten and Vallin de la Mothe during the reign of Catherine the Great. 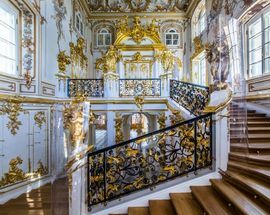 Visitors can expect a fascinating journey around the magical palace, filled with objects of art, splendid furniture and stunning sculptures. 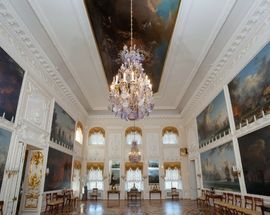 Open 10:30 - 19:00, Sat 10:30 - 21:00. 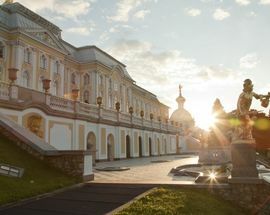 Сlosed Mon and last Tue of the month.